Damax boss Robin Ward was a contented chap yesterday evening, with things already slotting nicely into place for what looks like being a busy 2007 season for his trio of Ascari KZ1Rs. 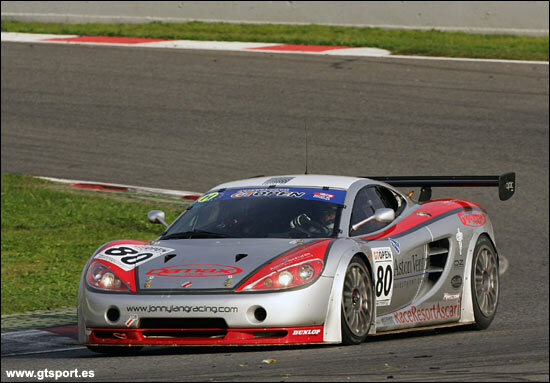 That means that with the Preci-Spark Ascari of the Jones brothers, the 2007 British GT championship should see at least four Ascaris take to the track. Better still, it seems that Robin Ward and Damax have plenty of drivers to choose from in selecting pilots for both series. “We’ve had a huge amount of interest from drivers, in no small part thanks to dailysportscar. I’ve already finalised a couple of line-ups in the FIA series. Rob Barff and Richard Stanton will be in one car, with Andrew Thompson and Martin Rich in another (Rich sampled the Ascari in the final round of the International GT Open at Barcelona last month, he and Jonny Lang winning in GT3 (GTS) - below)." 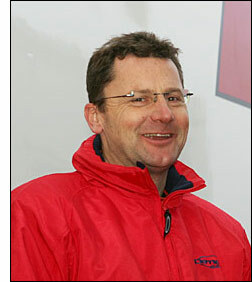 As for who else might find his way aboard a Damax car next year – Robin Ward was sitting on a table between Martin Hines and his son Luke, 2006 Team LNT Panoz man. You never know!